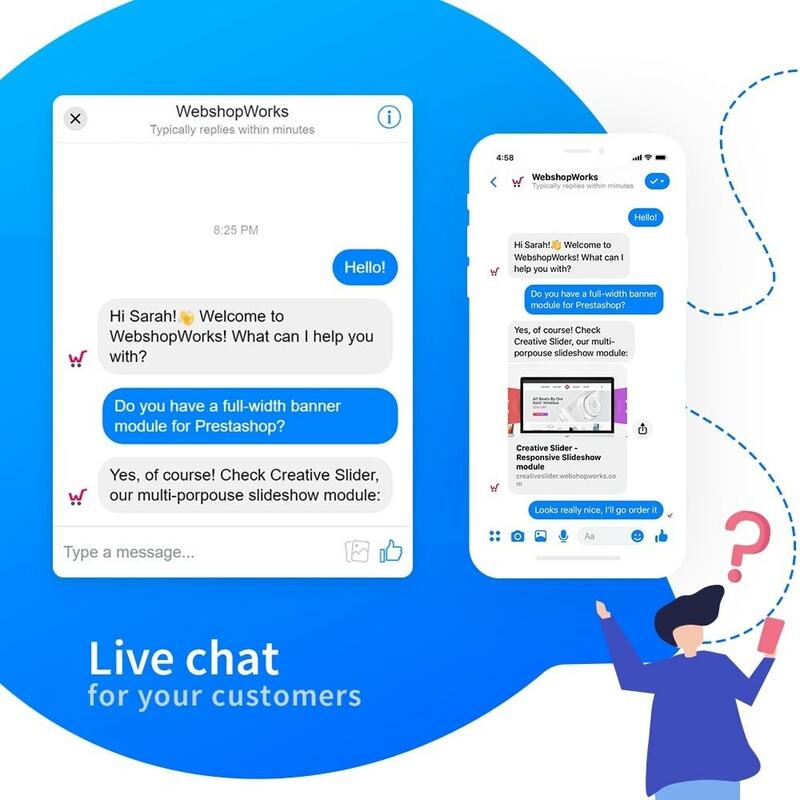 The Messenger Customer Live Chat PrestaShop module allows you to provide an easy way to start a Messenger conversation right on your storefront. 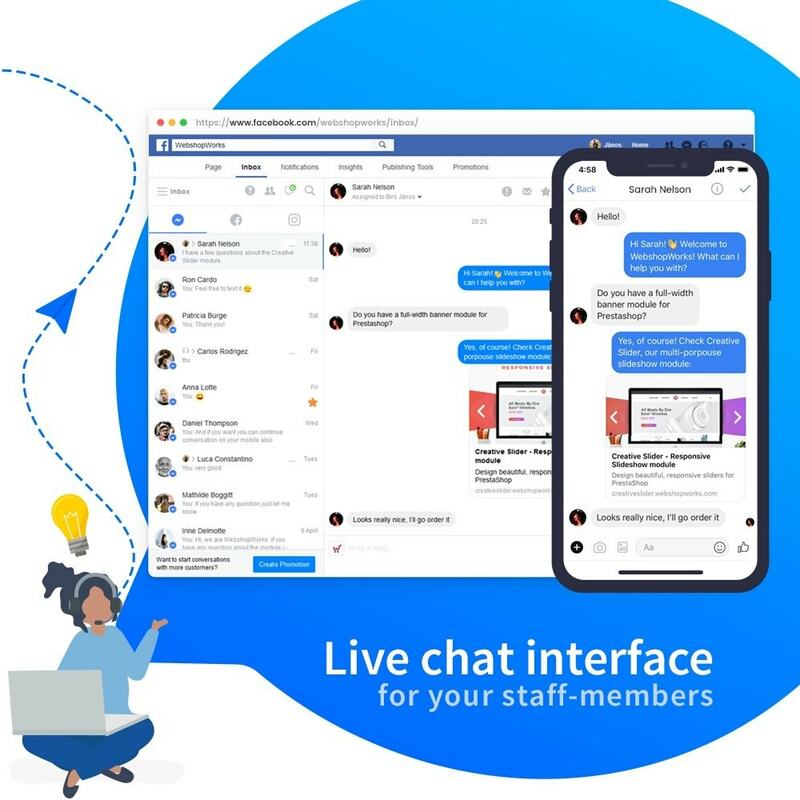 Since more than 1 billion people use Facebook every month, Facebook Messenger is the most effective way to connect to your customers. 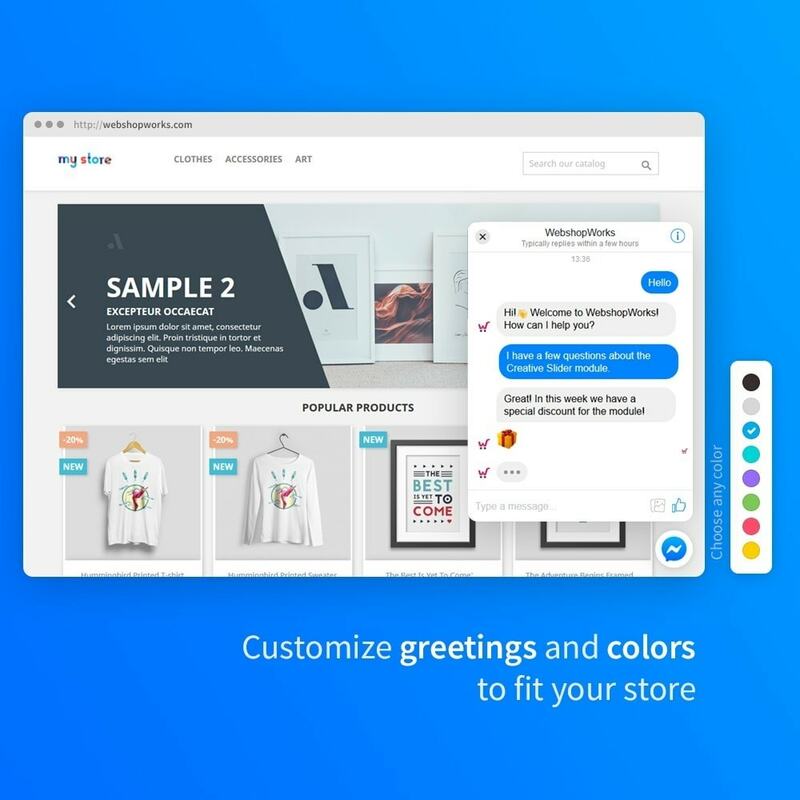 Better yet, the conversations your customers start on your store will also be sent to their Messenger app. 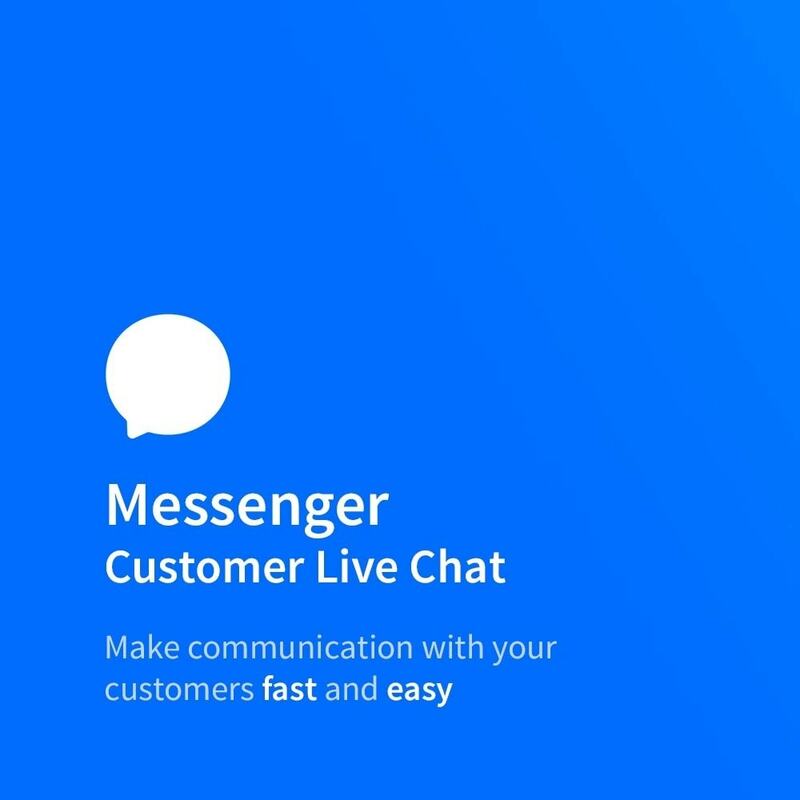 Everyone who contacts you via the Customer Chat becomes a subscriber in your Messenger list, so you can also send them Instant Messages in the future. Just like the answers to your automated Messenger messages – these conversations will appear in your Facebook Page inbox. When you reply, customers receive it in their Messenger app as well – with a push notification on their phone. Your customers don’t need to return to the website to get back to you. They can simply open the Messenger app, and pick up where they left off – the conversation history will already be there. When you handle your communications via email, you probably see some messages dropped, arrived in the promotions or spam folder or see that customers simply don’t open the email at all. Messenger changes all this when it takes your business communications to its chat platform. Your open rates will be above 90%, and you don’t have to worry about the spam folder anymore. 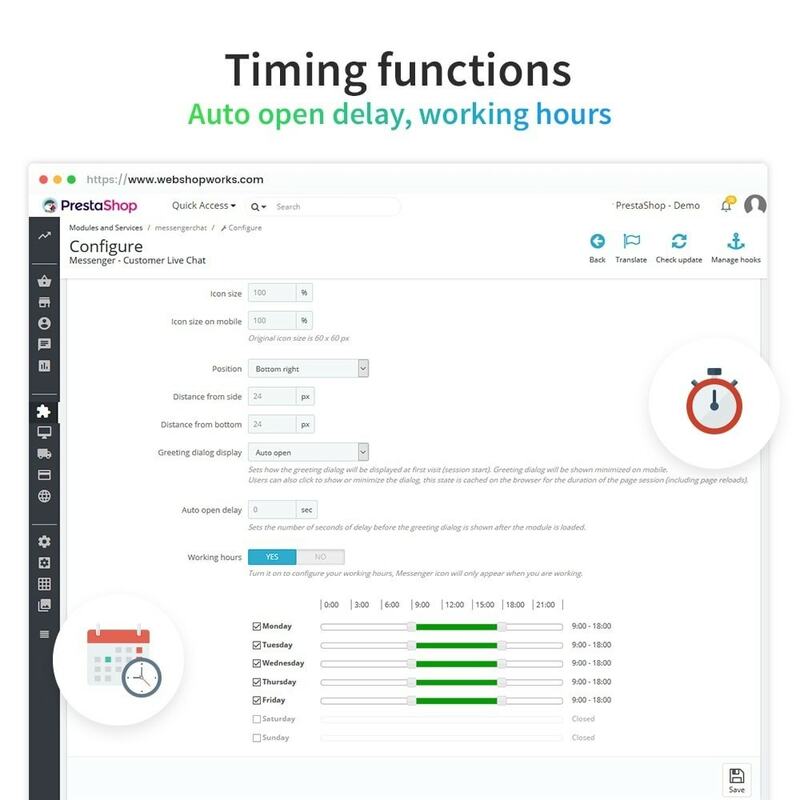 Scheduling – You can set working hours, a daily time period when the visitors can contact you. Your customers can contact you very easily and continue the conversation even if they leave your store. This conversation history will also appear in their and your Messenger app. You can notify them about discounts or give personalized offers. Easy to install and works perfectly. High quality product as all from WebshopWorks. 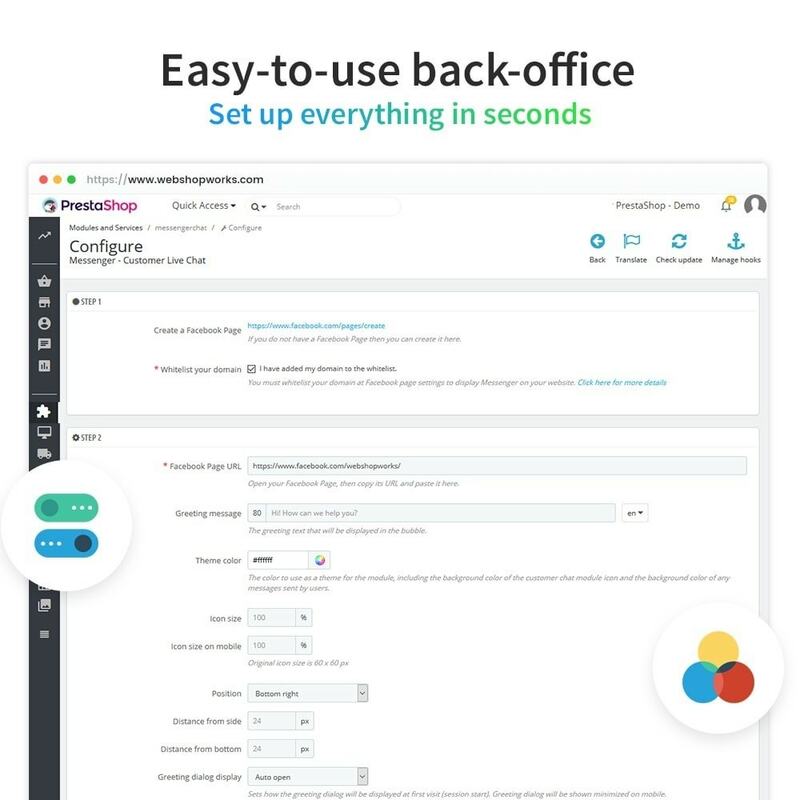 The module is the only one that allows you to chat and convince the user, while the user still being on your site and being able to view content and click on buy the button. This is the ideal product because you don't loose contact while you provide support for the client. They are in touch with the current marketing strategies and with the needs of the user. They also provide fast reply and prompt modifications. I will work with them again. Working great! It is easy to install and easy to use! You get what you see!